DC Motors Plus, is recognized as a one stop solution center for all your Forklift needs. 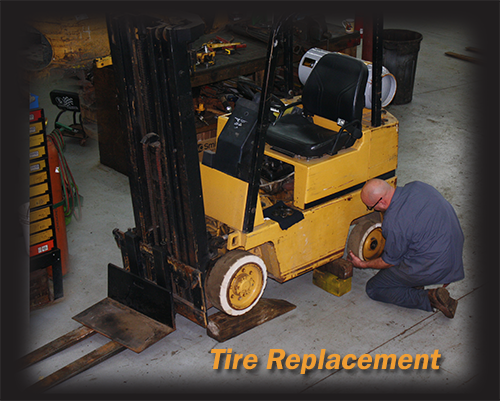 Having a wealth of experience in the repair, overhauling and maintenance of Forklifts, we have now enhanced our commitment to "add value" to our customers by providing an extensive range of high quality forklift tire replacement and pressing services. This makes DC Motors Plus, your one stop solution for all your forklift maintenance needs. Our team of highly skilled and quality-conscious professionals are always present to ensure that we meet and exceed our customer's satisfaction. Give us a call today!